"One Foot in the Gutter" (1968). 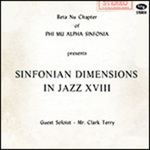 Sinfonian Dimensions in Jazz. 18.